The assignment for today’s post is “glass”. Glass conjures up a lot of images for me: transparency, fragility, vision, protection from the outside world. The concept that stuck with me for the photos, however, was “reflection”. It’s a Lenten thing, I guess. In this context glass helps you to see who you are and how you are oriented, by “reflecting back” what you are observing, but from the opposite perspective. Metaphorically speaking, that is not a bad position to seek out. But I digress, and this is supposed to be a photo blog, so here are my images that convey my sense of “glass”, as in reflection. 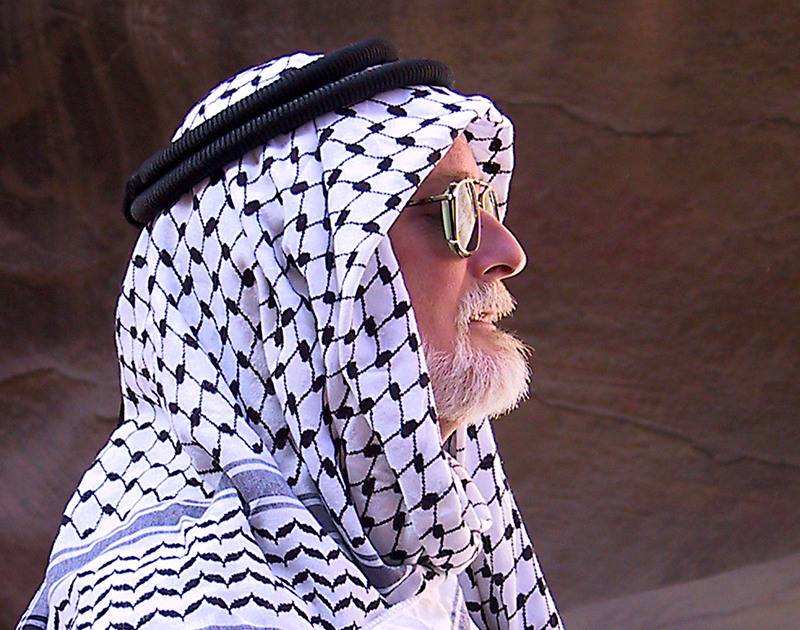 The guy in the keffiyeh, a good friend of mine with whom I traveled through Jordan, swears that he can see the Treasury building in the reflection from his glasses (we were in Petra at the time). 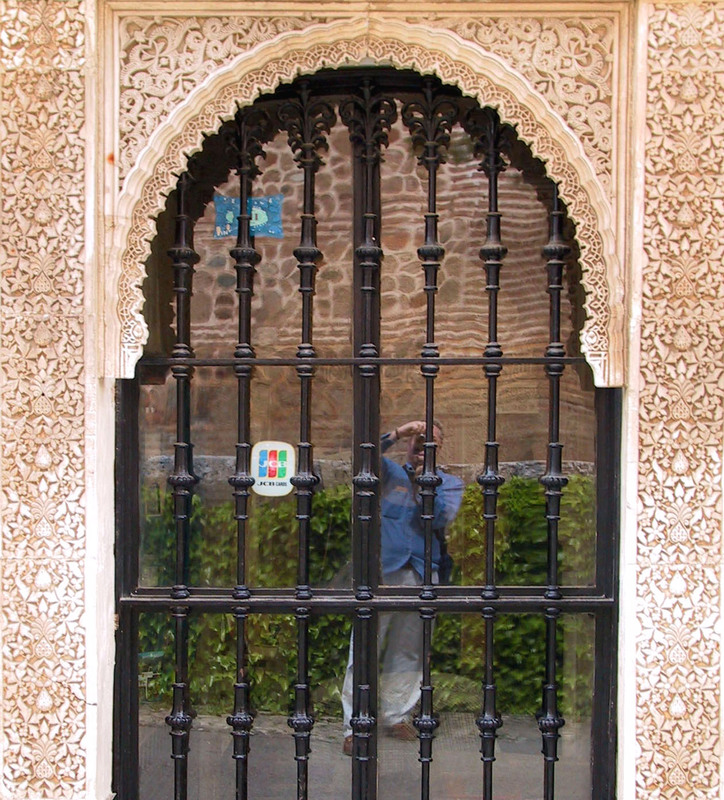 This photo from the Moorish city of Granada captures the image of the photographer, while he is capturing the image of a Moorish archway and gated entrance. These two shots are from my office, with the landscape outside the office window reflected in the glass covering a map of the city of Philadelphia in 1865. One is more abstract than the other, in my view, but both present an interesting portrait of the contemporary superimposed on the historical, as seen through glass. And finally, the photographer is once again captured, and reflected back, from the image being shot. Reflection can help us to see who we are. Nice post! I like how you used the topic Glass as in reflections of it. 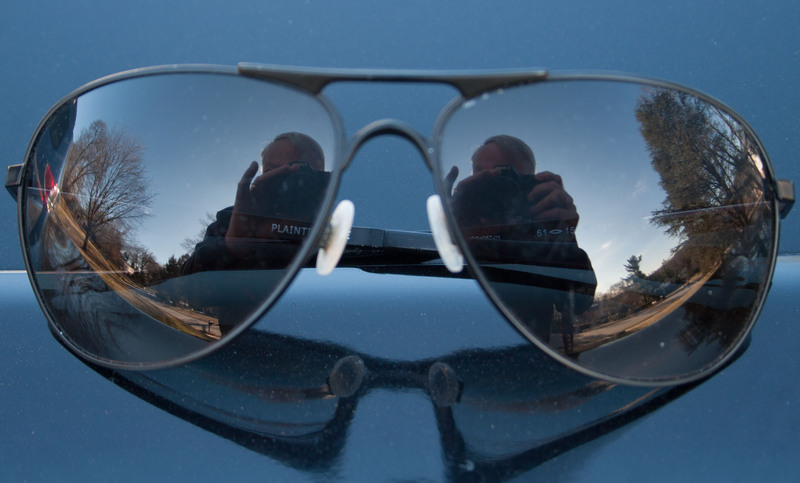 I also found it interesting that you photographed a pair of sunglasses. I used eye-glasses, with a reference to sunglasses, in my post on Glass also.